A unique and stylish way to hang up your keys. 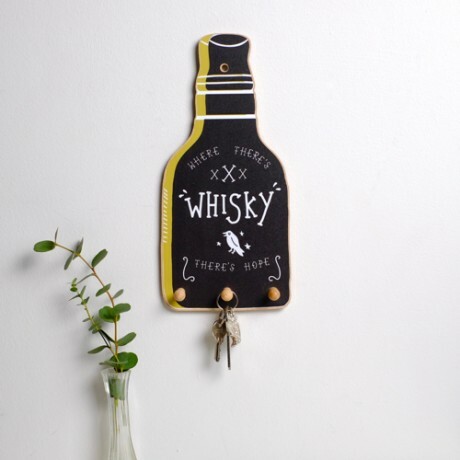 Hang your keys up in style, on this unique Whisky bottle key holder. Perfect to put by the front door, to have keys handy when needed.This would make a great gift to any whisky fan. A great item to have in an office space. Our unique whisky bottle shape, with hand drawn Typography. Hard plywood, with a printed vinyl design on the front. Three key pegs for hanging multiple keys. Can be nailed or screwed into the wall.